Every night when it's getting dark, all the colorful lights prepared on the waterside and on the hills are turned on. 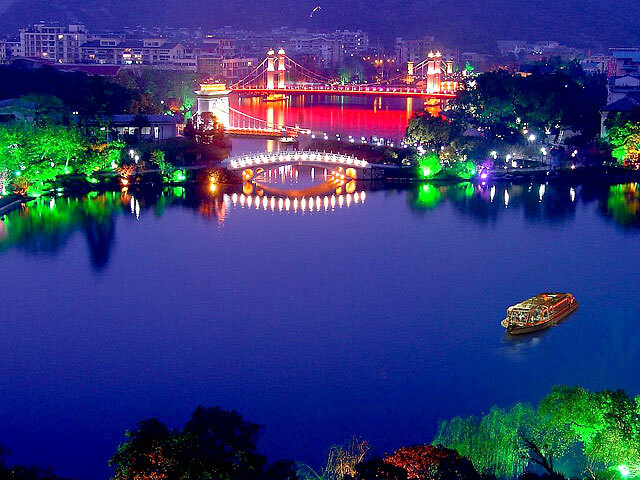 They make the city of Guilin more colorful and dreamlike. Tourists can choose to walk along the lakes or take the local electric boat to have a one-hour cruise on the four lakes.